So, waiting on my RK, 13" air shocks to arrive, and thinking ahead to upgrading the front end when possible. Would it be cheaper to get longer aftermarket tubes (will only need 1" longer) and progressive springe, or a different (taller) model sportster front? Never worked on front forks before so tgis is new stuff to me. Have watched a couple youtubes on it and will watch more before attempting to do the work. I read a bit about tube extenders and decided not to go that route. I would like a 1" lift, and also the extra travel. Any idea of what cost to expect? If yours is a “low” model, the difference is the length of the damper tube, the main tubes are the same as the standard, or roadster ones. Location: Northern Los Angeles area. BTW handirifle, what year/model is your bike? should have said, that’s for the 39mm legs, don’t know about earlier or later ones. So the damper tubes are the top ones, correct? Told ya I knew little to nothing. I know I really need to read/watch more on them. What are the diff length grey parts in your pic? The top tubes are 39mm. I’m not sure what you mean by “top ones”. The damper tubes are bolted to the inside of the sliders, the sliding parts the wheel is fixed to. 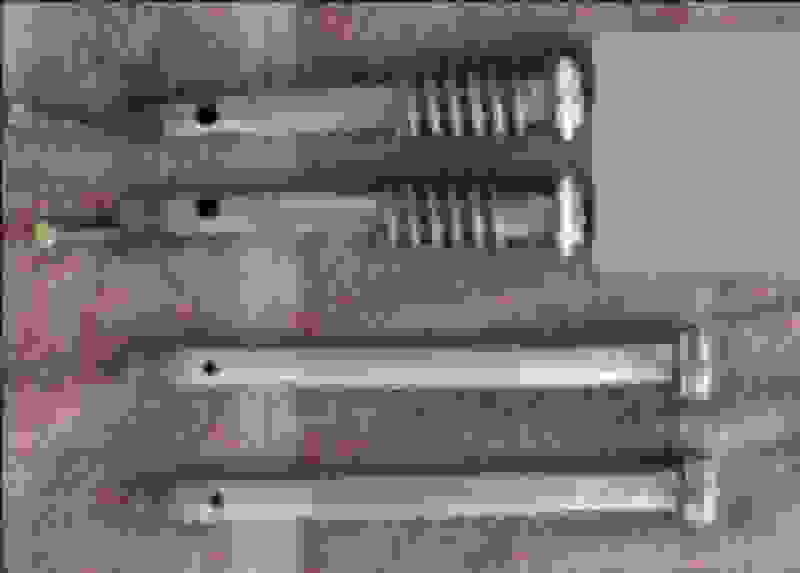 The grey parts in the picture are the two different length damper tubes, short on the Low models and long on the standard roadster. In effect the shorter damper tubes pull the sliders and therefore the wheel further up the main tubes, or stantions, creating a shorter fork and lowering the front end. 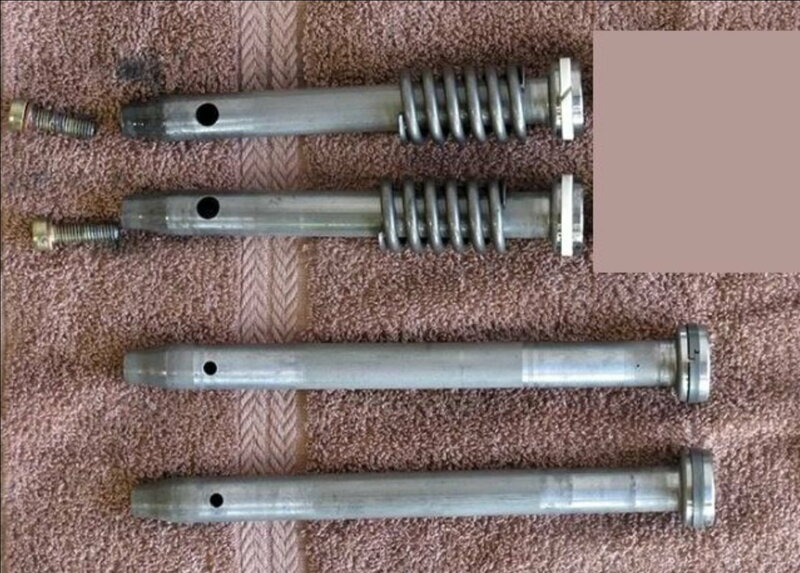 If you wish to raise the front end to standard you need to replace your short damper tubes with the longer roadster ones. I have the same bike. Like you, I raised mine too several years ago. Since I raised the rear with 13" shocks, it meant that the rear is the same height as an XL1200R. To give the bike back its original geometry, I raised the front to the same height as the front of an XL1200R. 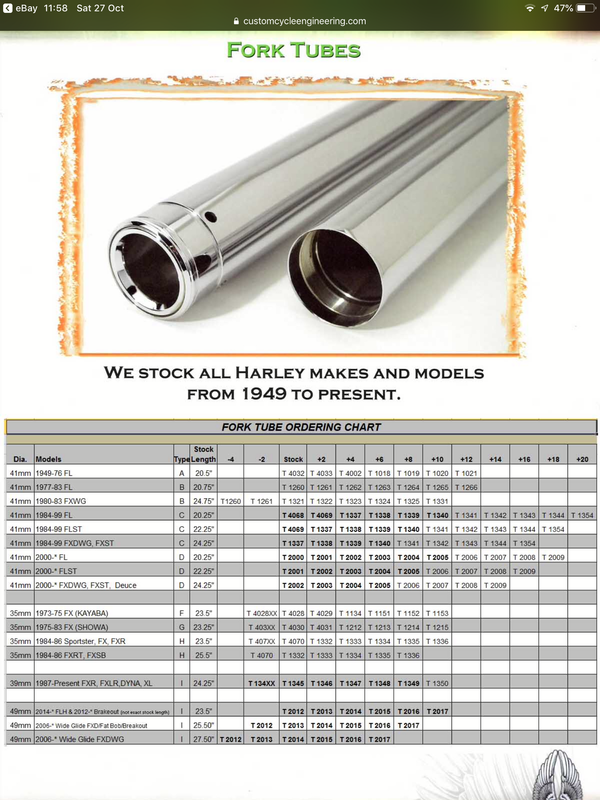 The only part that needs to change is the damper tube (aka damper rod) the damper tube you want is Harley P/N 45925-04. That's it. Last edited by lewk; 04-16-2019 at 11:55 AM.